I work for a nonprofit agency based out of Central Florida and was looking to plan a staff appreciation day for our development team. 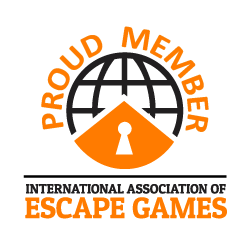 An escape game seemed like a great idea so I contacted America’s Escape Game to book a game. Liz from AEG went above and beyond to accommodate us! Our team participated in the Pandemic game and came back with only positive things to say. The game was engaging and challenging, and the staff was enthusiastic, friendly and helpful. Whether you are an organization looking for a fun team-building activity to engage your employees, a family, or a group of friends looking for a unique way to spend time together, I wholeheartedly recommend America’s Escape Game to anyone looking for an amazing escape game experience!